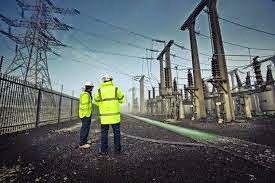 The Federal Government said yesterday that the nation has recorded a loss of over 2,000 mega watts in the national grid due to shortage of gas supply to the thermal plants. The government in a statement signed by the Chairman of the National electricity Regulatory Commission, NERC, Dr. Sam Amadi explained that only five out of 23 power plants are currently generating electricity. Dr. Amadi said that the Commission noticed with concern the acute shortage of power supply and the attendant hardship Nigerians are passing through. According to him: “At present, 18 out of the 23 power plants in the country are unable to generate electricity due shortage of gas supply to the thermal plants with one of the hydro stations faced with water management issue. This has led to loss of over 2,000mega watts in the national grid. “The Commission had proactively engaged the gas supply companies and its licensees when two weeks ago discussion was held on how to firm up gas supply in order to increase power supply. “Unfortunately, not much progress was made through this meeting as NNPC and its subsidiary Nigeria Gas Company, disclosed high incidence of vandalism in some areas that were relatively peaceful along its pipeline networks. “That meeting was told of the damage done to Trans-Forcados pipeline in the western axis and elps gas pipeline in the eastern axis. Nigerian National Petroleum Corporation had explained at the meeting that repair works are being intensified even as it expressed worry on the integrity of the pipelines on account of incessant damage it has sustained. “In essence, what has brought about this development is the increased incidence of vandalism which is beyond the control of the regulator and the industry operators. This situation is further compounded by the industry actions declared by the oil and gas workres. “However, we have continued to engage with relevant authorities on how fast we can address shortage of gas supply to the thermal plants. We are also engaging with the industry operators on how to improve electricity supply.